With a baby, expenses can quickly add up, especially when you go organic. One easy way to save is to make things yourself. Not only will you save money, you also get the added benefit of knowing exactly what you’re using on your baby. Recently, I have started making my own baby wipes. I was amazed at how quick, easy, and frugal it is! You really only need around 10 minutes total and only 5 of that is spent doing something. If your baby has sensitive skin, you’ll definitely want to try this. Many wipes have drying ingredients (like alcohol) that can actually make conditions like diaper rash worse. 1.) Boil 2 cups of water. 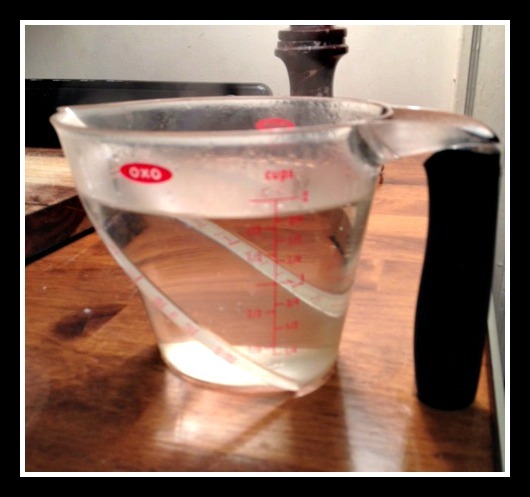 You’ll want to be sure to boil the water to help prevent mold. 2.) 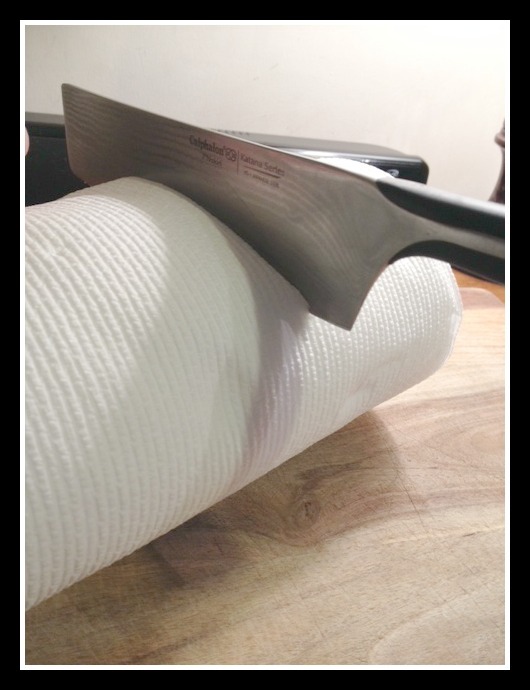 Using a sharp knife, cut a roll of paper towels in half. 3.) 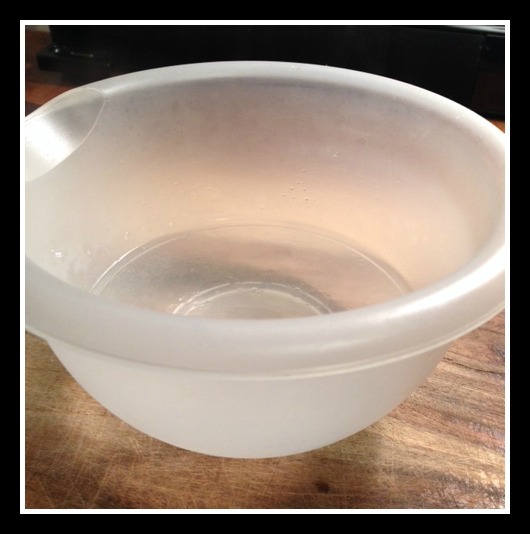 In a bowl, combine water, coconut oil, and baby wash or Dr. Bronner’s Soap. 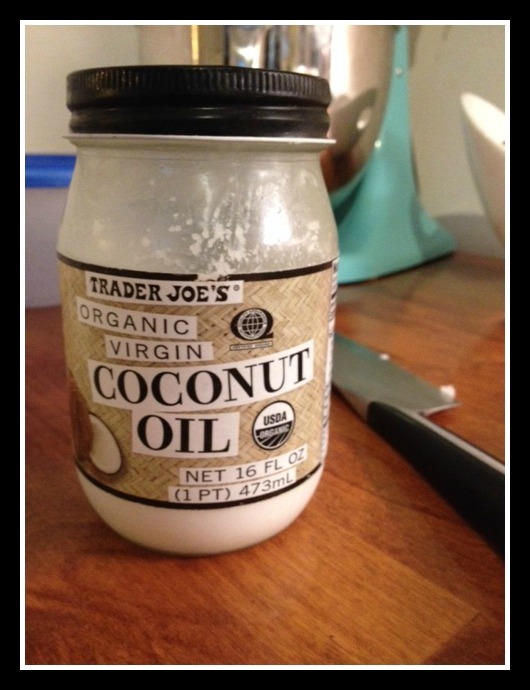 The coconut oil will help prevent mold. You’ll want it to be above 76 degrees so that it will be in a liquid state though. If you need to raise the temperature, you can put it in a saucepan with a small amount of water to liquify it. 4.) Put a liquid mixture in the wipes container. 5.) Put half a paper towel roll into the liquid. You’ll want to put the cut edge down. 6.) Put the lid on the container. 7.) 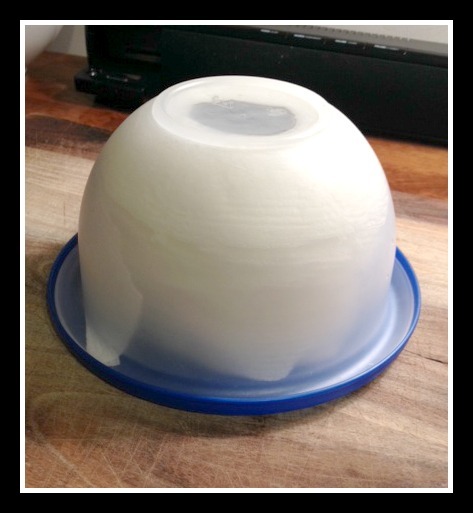 Flip the container over and let it sit for 5 minutes. 8.) Open the container and remove the paper towel cardboard tube. 9.) Pull the center paper towel towel so they will pop up like wipes. -I have found that Bounty Paper Towels work best. I like to use the select-a-size version so I do not waste wipes. -The wipes last me around 1 1/2 to 2 weeks. -You do not want to make more than 1 or 2 batches a time to prevent mold from growing before you can use them. -If you do not have a sharp knife, be sure to use one with a serrated edge. 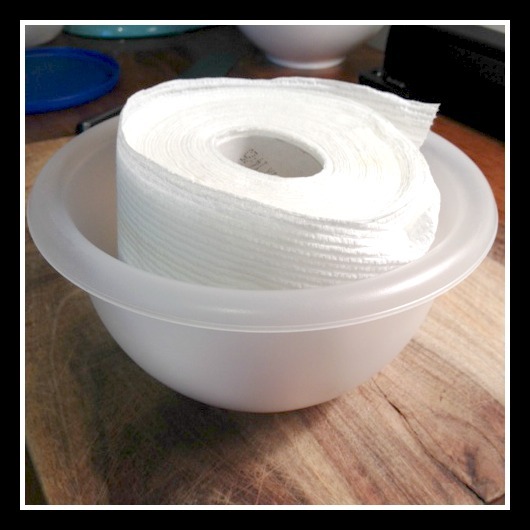 -You can put wipes in a quart size bag to use when you aren’t home. -Store in a cool, dark best to decrease chances of mold growth. Note: We are not a 1 wipe kind of family. Most jobs take 3-4 wipes. 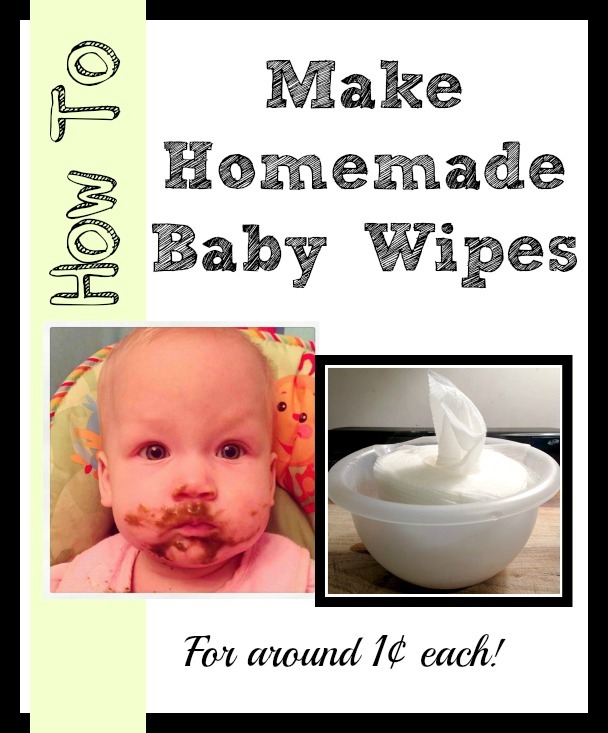 Makes it 1¢ each for homemade wipes. In the end, the price will be about the same for the wipes you made and regular, store bought wipes at their rock bottom price. The benefit being you can control exactly what goes in them and therefore on your baby’s skin. 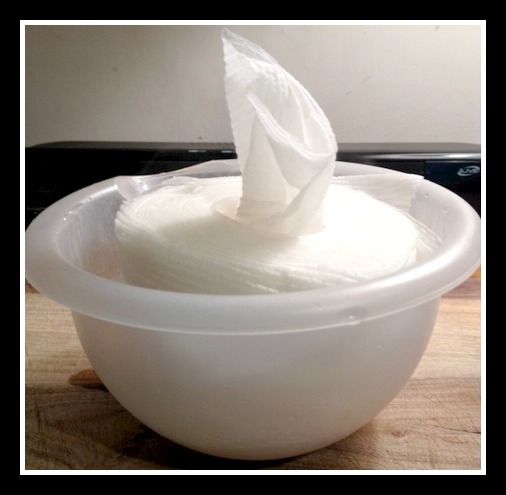 Have you ever made your own wipes? Please share your thoughts, tips, and tricks in the comments below!